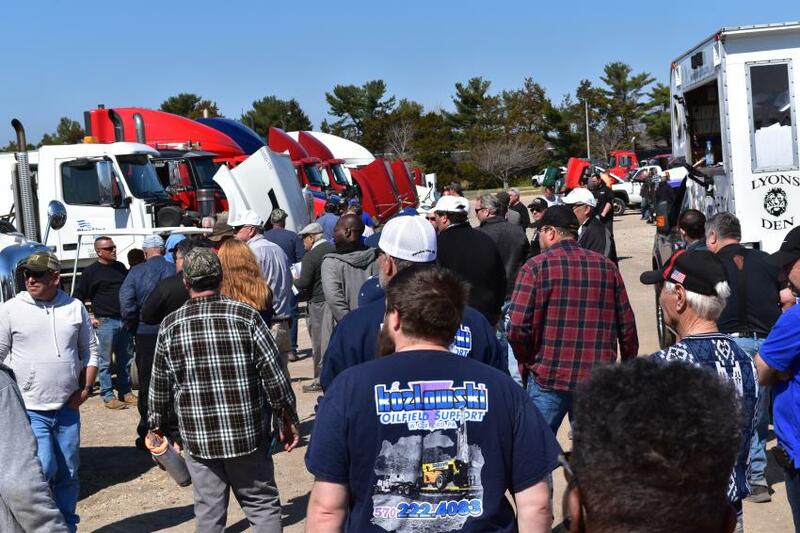 Alex Lyon & Son held a three-day auction from April 4 to 6, 2019, at the Atlantic City Race Track in Atlantic City, N.J. 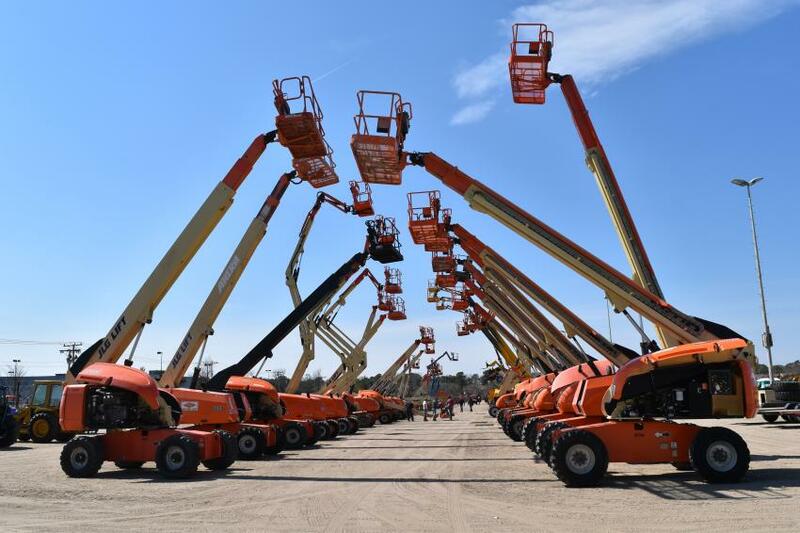 The late-model rental fleet sale featured equipment from Herc Rentals and Ahern Rentals. 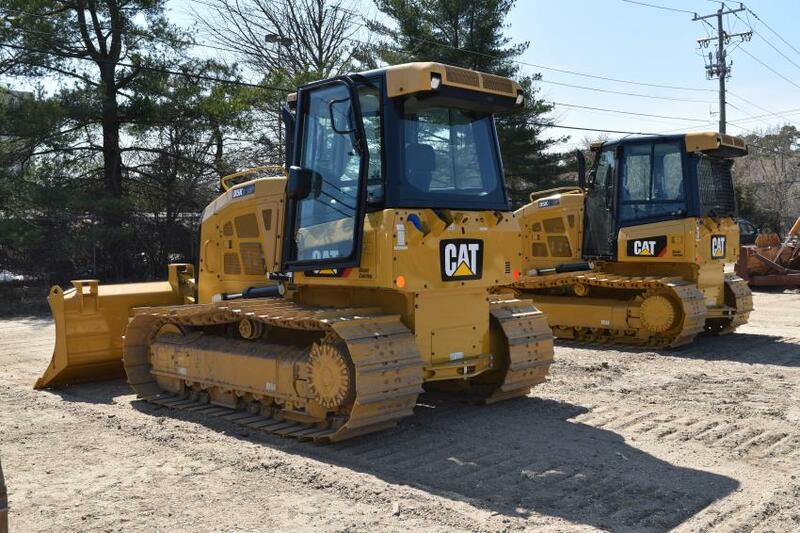 Equipment that went on the block included nearly 60 hydraulic excavators, 22 rubber-tired loaders, 25 vibratory rollers, 28 backhoes, 11 telescopic forklifts, 48 boom lifts, 18 compact track loaders and a wide range of attachments and supplies. 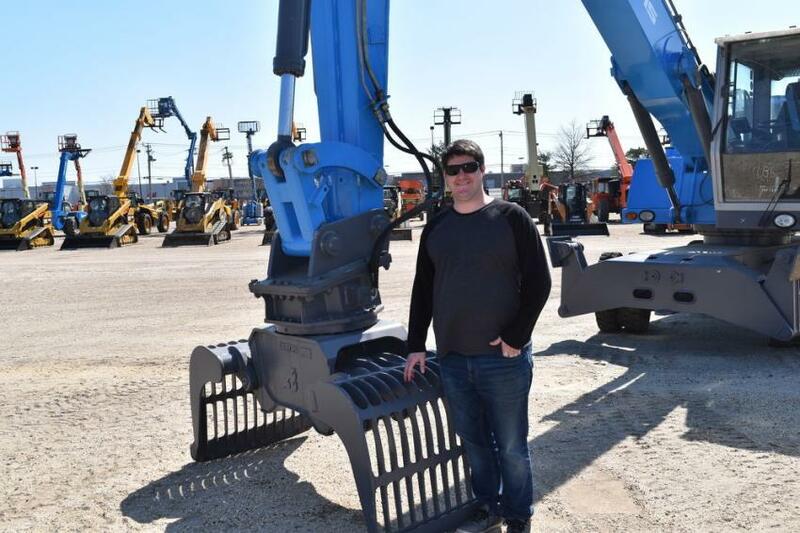 John Holt, sales representative of Global Packaging in Oaks, Pa., enjoys the spring day at the Alex Lyon & Son auction in Atlantic City. 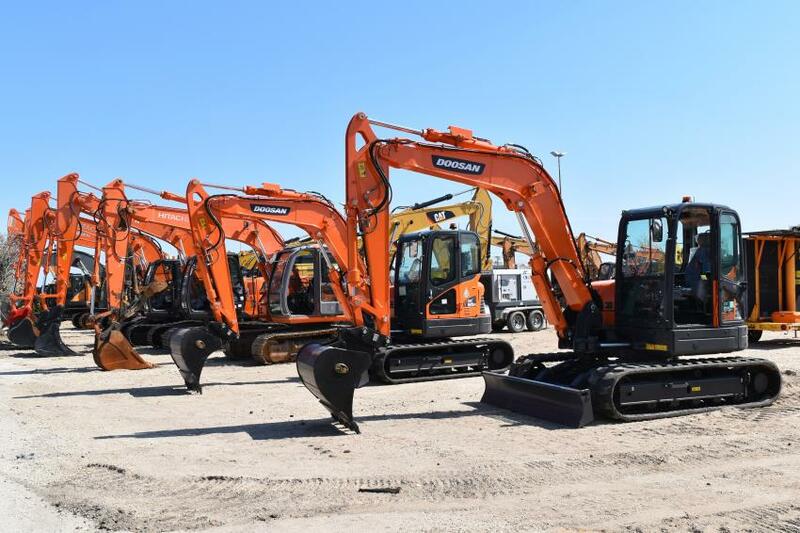 A selection of mini-excavators was available during the sale. 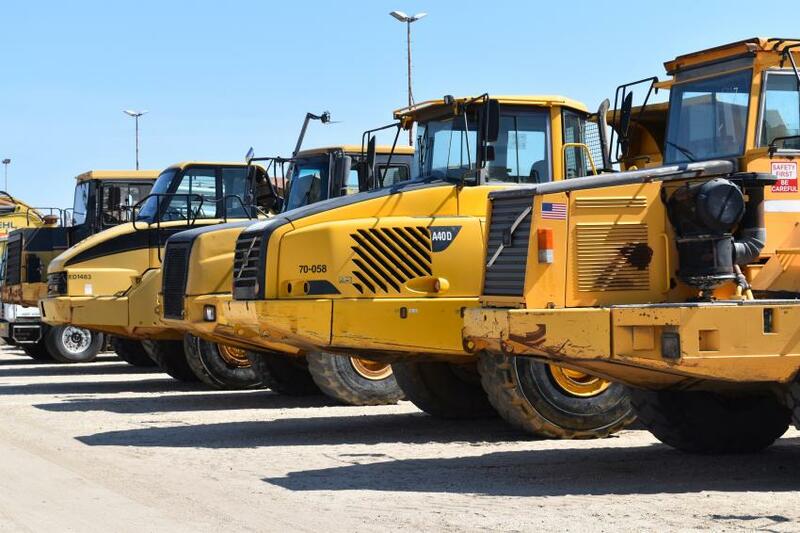 Bidders could choose from several artic trucks during the auction. 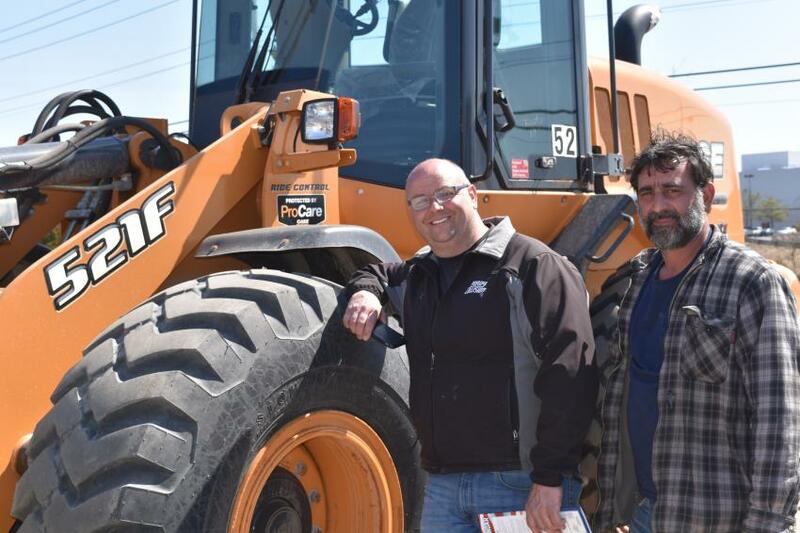 Don Purdy (L), owner of Purdy Collision, Galloway, N.J., is ready to check out the wide array of equipment offerings with his friend, Dominic Messina. 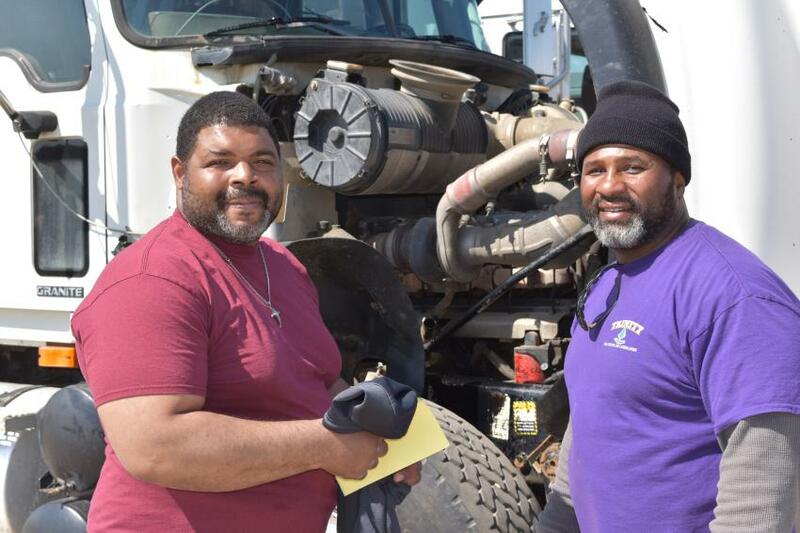 Tim Crudop (L) looks for deals on equipment with Alonzo Bivins, owner of Trinity Tree Experts in Toms River, N.J.
Gerald J. Wilcox, president of Wilcox Excavating Construction Company, made the trip from South Windsor, Conn., to the Alex Lyon sale in Atlantic City. Bidders looking for lifts were not disappointed at attending the Alex Lyon Atlantic City auction. 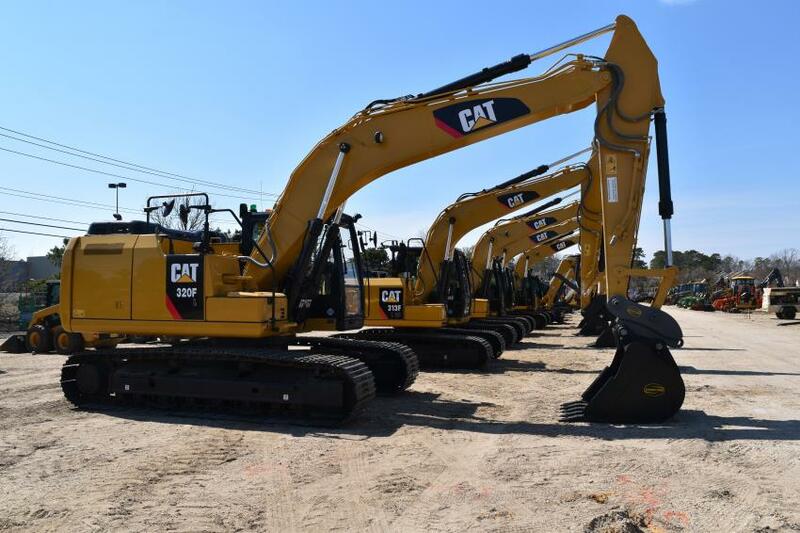 A good selection of Caterpillar excavators went on the block. 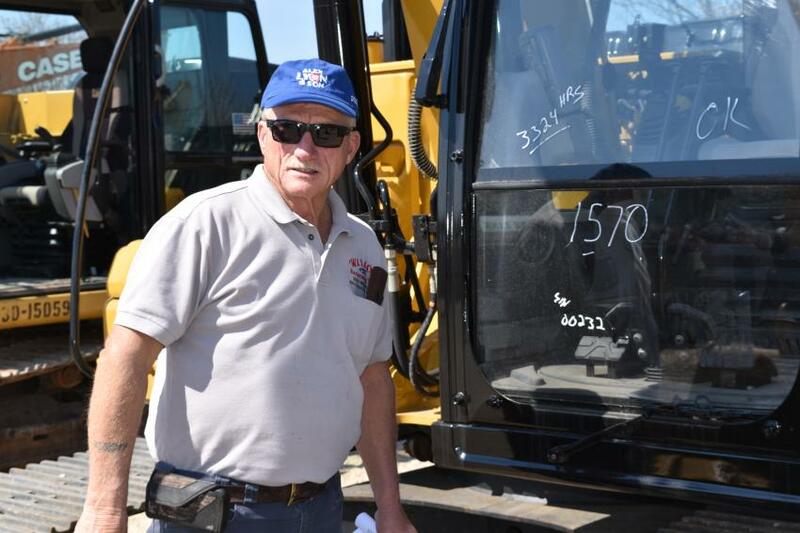 Approximately 30 backhoes went to the highest bidder during the three-day auction. 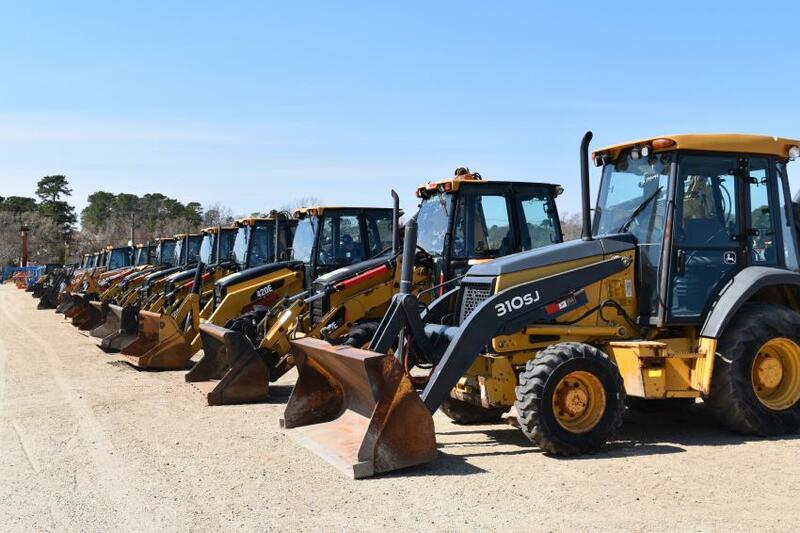 Nearly 10 dozers were available to the highest bidder.